Mitul Mehta CPA PC is a medical CPA firm that truly understands how a healthcare practice operates day-to-day. 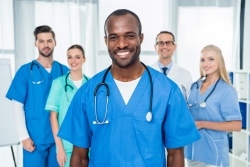 We are highly experienced in all aspects of medical practice accounting and this specialized knowledge is essential in guiding your practice to financial success. We invite chiropractors, physical therapists, optometrists, mental health facilities, cardiologists, radiologists, and other medical professionals to Request a strategy session through our website now. We can make a real difference in workflow and your bottom line. Our medical practice accounting services are designed to be cost-effective and to make filing your taxes at the end of the year easy and painless. Not only can we help your practice save money on taxes and improve cash flow but our services are designed to free up more time to devote to your patients. For many medical providers, managing their accounting and bookkeeping functions can be particularly difficult. Consider outsourcing all or part of your accounting tasks to us so you have more time to work with your patients. In addition to preparing your taxes at the end of the year, we'll implement proactive tax saving strategies to achieve long-term tax savings for your medical practice. We understand the intricacies of medical accounting and can develop financial controls and operational improvements that will simplify your bookkeeping processes. We can also provide specialized assistance for practice mergers and retirement planning. Medical billing is a headache for most healthcare businesses. We're committed to taking over billing for medical professionals so they can collect fees promptly, balance cash flow and obtain higher profit margins. With our assistance you'll get all the benefits of a CFO or Controller, but you won't have to hire another employee and, best of all, you'l only pay for the services you need.